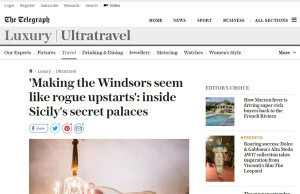 “Making the Windsors seem like rogue upstarts’: inside Sicily’s secret palaces”, questo il titolo dell’articolo pubblicato sul noto giornale “The Telegraph”. “The Principessa will be here in a moment,” the butler said. He handed me a glass of mineral water on a silver salver. I sipped. I waited. A streak of Sicilian sun, breaking through closed shutters, cut across a floor the size of a tennis court. Two suits of armour, flanking the vast fireplace, eyed me suspiciously. 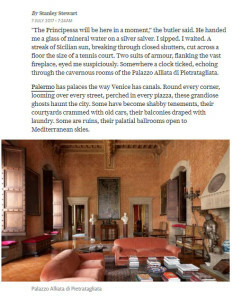 Somewhere a clock ticked, echoing through the cavernous rooms of the Palazzo Alliata di Pietratagliata. Palermo has palaces the way Venice has canals. Round every corner, looming over every street, perched in every piazza, these grandiose ghosts haunt the city. Some have become shabby tenements, their courtyards crammed with old cars, their balconies draped with laundry. 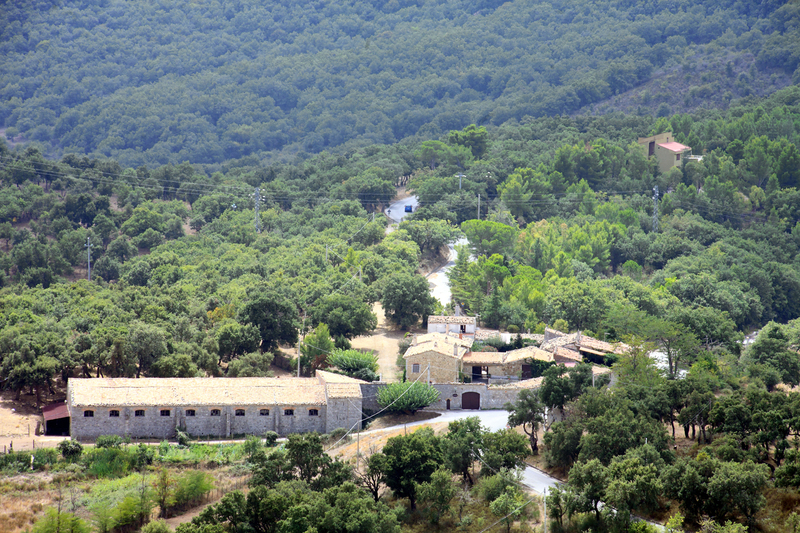 Some are ruins, their palatial ballrooms open to Mediterranean skies.